1. In dry skillet, toast cumin and coriander seeds over medium heat, until aromatic, about 1 minute. Place in electric grinder or use a mortar and pestle and coarsely grind. In same skillet, add thyme leaves and toast for about 2 minutes, then add to grinder and process to combine. 2. In food processor, place chopped tomatoes and process until finely chopped. Transfer to mixing bowl and add spice mixture, garlic, jalapeño, oregano, lime juice, brown sugar and canola oil. Mix well. 3. Add steak and turn to coat well. Cover tightly and refrigerate to marinate at least 12 hours, up to 24 hours. Alternatively, marinate in large, heavy resealable bag and refrigerate. 4. Heat barbecue to high. 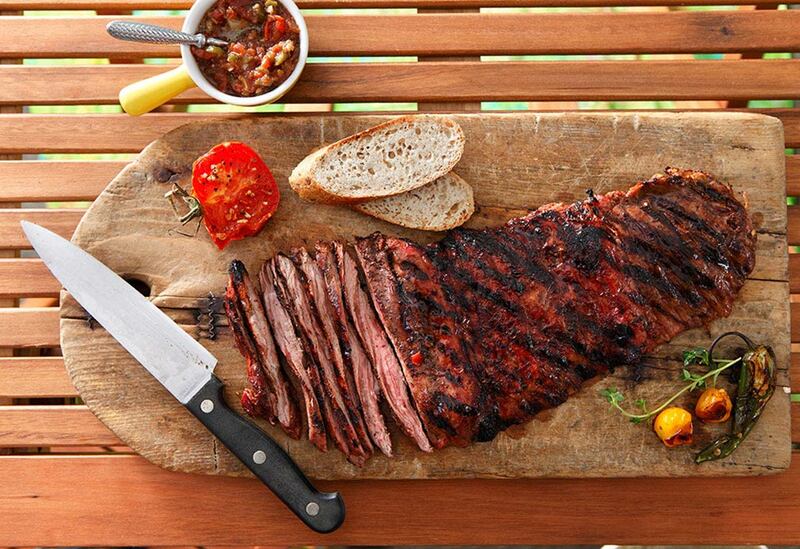 When hot, remove steak from marinade, scraping off excess. In saucepan, place marinade and bring to boil for 2 minutes or until reduced and thickened. 5. Sprinkle steak with salt and season with black pepper. Grill on barbecue for about 3 to 4 minutes on each side to desired doneness. Remove to warmed plate, cover with heated marinade, then cover with foil and allow to sit for 10 minutes. Slice finely across the grain of the steak and serve. Tips: This recipe calls for the milder jalapeño chile pepper, but use the habanero chile from the Yucatan if youd like a spicier marinade. You can also substitute half the amount of ground cumin (1/2 tsp or 2 mL) or coriander (1/4 tsp or 1 mL) for their seeds. 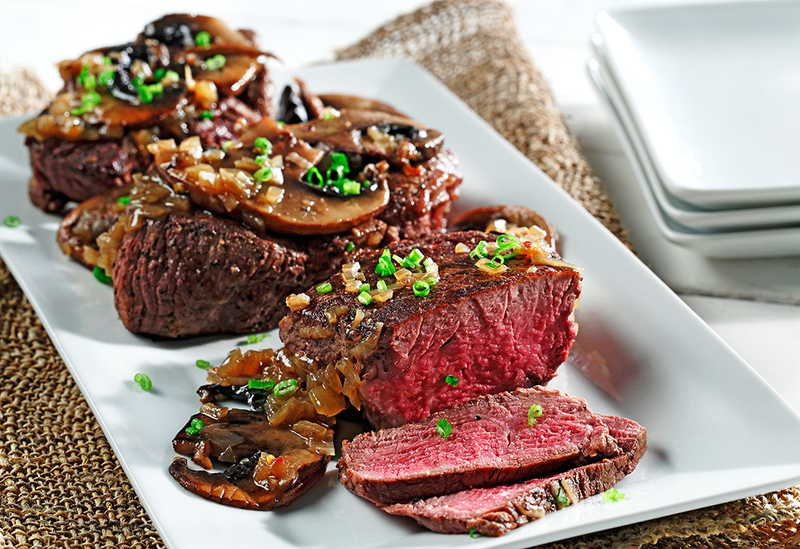 Marsala wine and spicy pepper flakes elevate this dish to steakhouse quality. 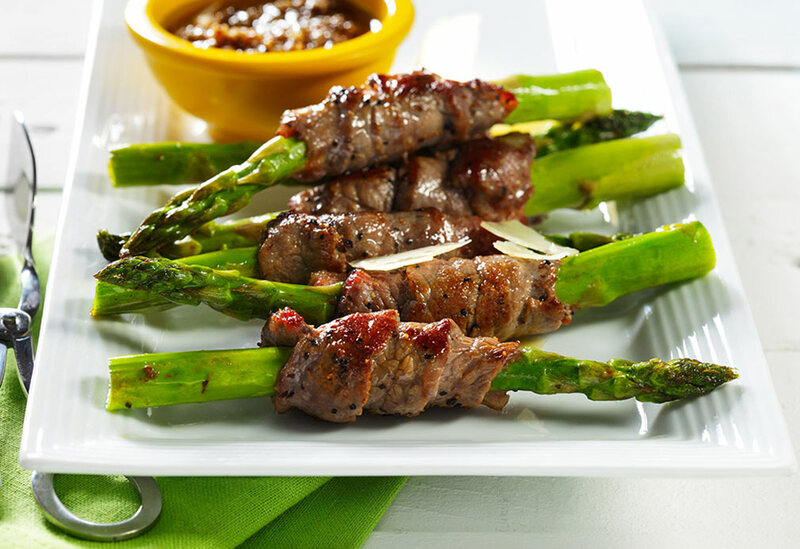 Start off a meal or party with this impressive, flavor-packed appetizer. Canola oil is the best choice for searing here because of its high smoke point (468 °F). This addictive salad’s texture and flavor will make your mouth sing. 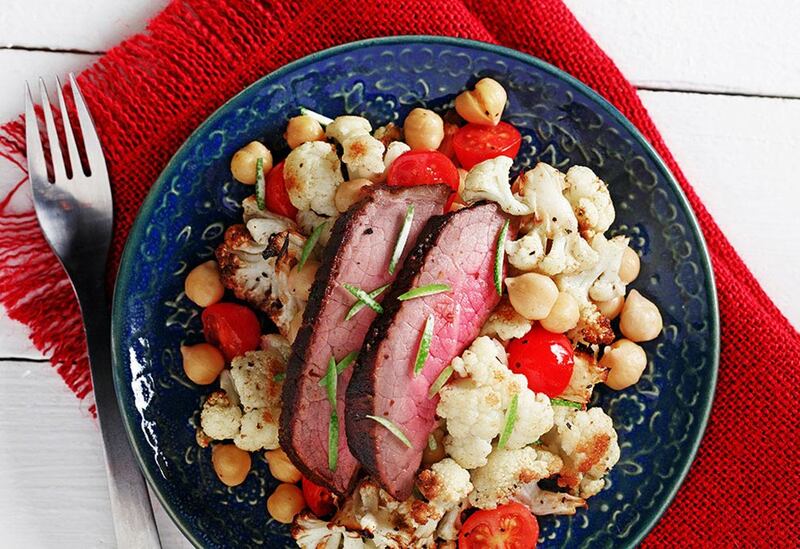 It’s a great way to use up leftover steak or grilled vegetables. Plan ahead and make a double batch of cauliflower so you can add it to other salads or enjoy it on its own as a side dish. Canola oil’s neutral taste lets the vinaigrette’s lime flavors shine.